Translate your love of nature into your therapy profession! and wish you could share them with your clients? and ready for professional guidelines and training to practice confidently? and wanting community support to inspire your next steps? If you answered YES to any of these, this program is for you! 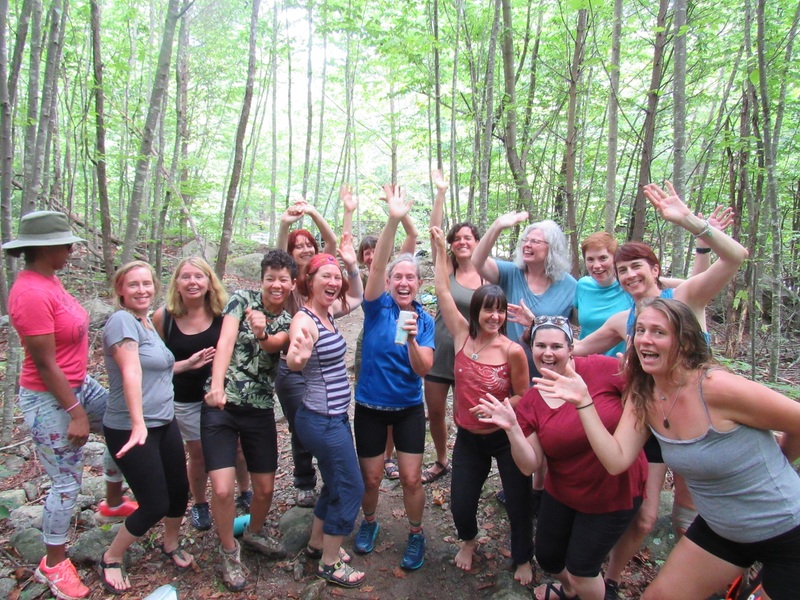 This program is for those who want a dynamic, interactive forum to learn and practice Ecotherapy skills in an in-depth and integrative format. Many of us in the healing professions have a profound connection with nature and want to weave this into our work. However, if our colleagues don’t understand or share this longing, we may feel isolated or misunderstood. The good news is that there is a growing community of people all over the world learning Ecotherapy skills and translating their deep relationship with nature to their clients. Being part of a community of nature-loving professionals can give us the inspiration and support we need to bring nature into our work. Licensed clinicians and interns, counseling professionals, wellness practitioners, coaches, ministers, teachers, allied health professionals, healers, doulas and more. Experience the power of being in Earth-honoring community to share visions, hopes, and support. Group is limited to 12 people, so sign up today! ~ Helen G, Nurse and Complementary Therapist, Scotland, UK. Adriel McCluer, MFT, ESMHL, Ecotherapist is a licensed psychotherapist who brings her lifelong love and deep spiritual connection with the natural world to her work. With a background in business, art and design, she made a professional change 10 years ago to the field of holistic psychotherapy after volunteering with a therapeutic horsemanship program. 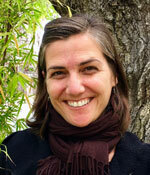 She currently has a private practice in Santa Cruz, CA, offering holistic psychotherapy to adults and teens. Adriel works with clients in coastal redwood forests, meadows, bluffs and shorelines, with equine partners in the Santa Cruz mountains, and in an office space indoors. Adriel graduated from The Earthbody Institute’s 100 hour Professional Ecotherapy Training in 2015. Adriel integrates somatic, transpersonal, and trauma-informed practices from her Master’s degree in Holistic Counseling Psychology at John F. Kennedy University, and as a certified yoga instructor (RYT200). Adriel is a certified Equine Specialist in Mental Health and Learning (ESMHL) through PATH International, and holds great value in the human-animal bond. Musenge Luchembe Hayslett, LMFT, Ecotherapist, is a licensed psychotherapist in private practice. 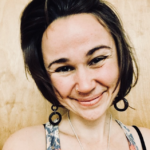 She has training in Hakomi Mindfulness-Centered Somatic Psychotherapy, Reiki, Acupressure, and Authentic Movement and earned her Ecotherapy Certificate from The Earthbody Institute in 2018. Some populations Musenge has worked with include immigrants and refugees with environmental and war trauma as well as social activists and people of color in the LBGTQ+ community. Musenge’s advocacy and appreciation for nature began in the tropical forests that surrounded her childhood home in her native country of Zambia. Musenge moved frequently as child but always made friends with the trees and animals around her until she moved to the United States as teenager. After a difficult transition to California, Musenge was able to reconnect with nature, feel safe in her new home and deepen her spiritual connection to nature through participating in several years of ecotherapy sessions. Musenge supports her clients in experiencing a similar sense of freedom, creativity and healing at Edwin Warner Park, in Nashville, TN. In addition to Urban Ecotherapy, Musenge also practices Indoor Ecotherapy and Animal Assisted Therapy with her two senior Chihuahua/Terriers, Doobie and Socrates, as well as provides workshops for other healers. 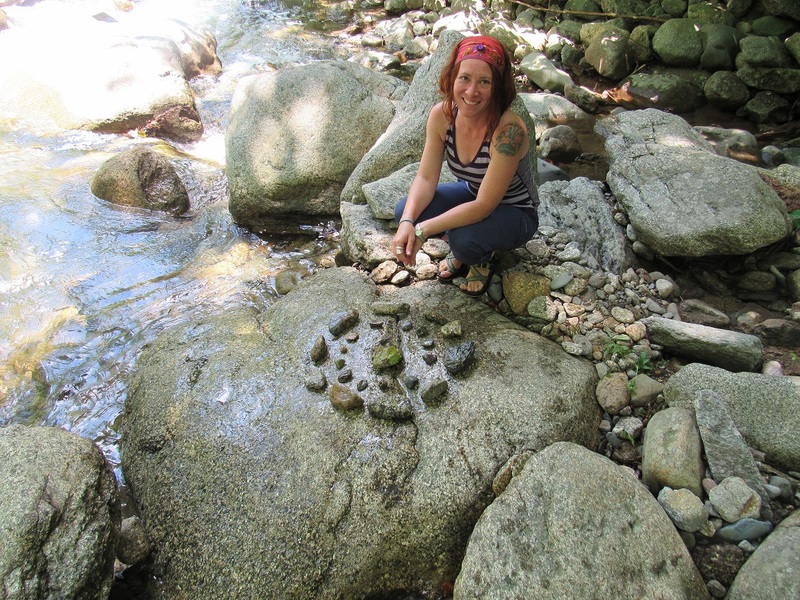 Lili Nakita Kroutilina, MFT, MA, Somatic Ecotherapist, is a Licensed Marriage & Family Therapist, Certified Somatic Ecotherapist, Certified Holistic Health Practitioner, artist, and human rights/environmental activist from Sofia, Bulgaria and is currently residing in Berkeley, California. She is passionate about connection with the earth, ourselves, and our community. She has worked in the mental health field for the past 8 years with people of all ages & issues, including the last two years doing crisis stabilization at an Outpatient Hospitalization Program in Oakland, CA. She has a deep love for the outdoors and is outside as much as she can be, if that is backpacking over the weekends or gardening during the week. Lili is excited to be starting her own private practice in 2019. Lili graduated from The Earthbody Institute’s 100 hour Professional Ecotherapy training program in 2015 and has worked with Ariana Candell on retreats, workshops, online classes, and curriculums. She has also studied mindfulness meditation, expressive arts, transpersonal psychology, and other modalities that inform her work. She is highly passionate about working with women’s rights & empowerment work, artists and musicians, integration therapy, spirituality, as well as PTSD/trauma/grief work. Lili also has experience creating and facilitating workshops on a wide range of therapeutic topics.